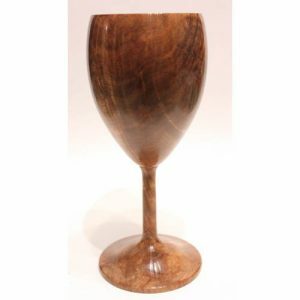 Wooden goblets and turned wooden drinking vessels were commonly used in the past but these days, they are generally regarded as something special and make ideal gifts. 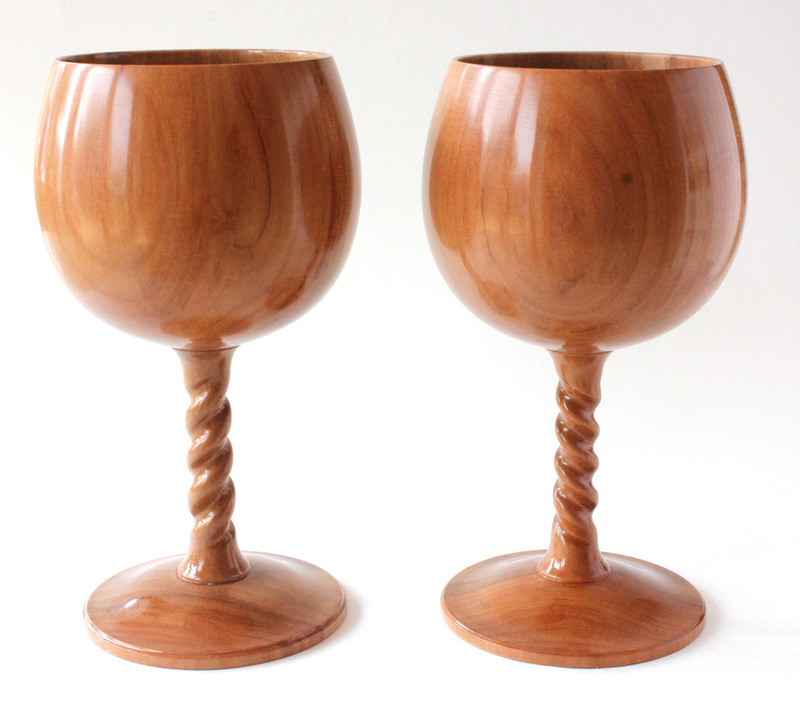 The turned wooden goblets are all turned by hand from a single piece of wood. 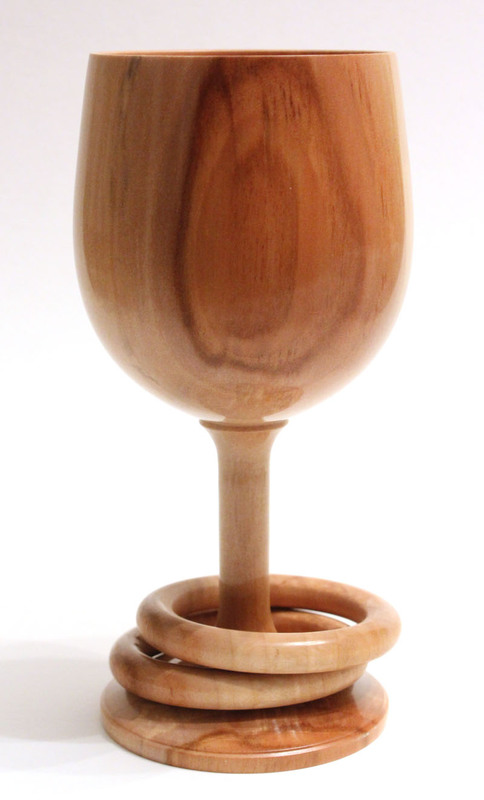 There are no joints and no glue. 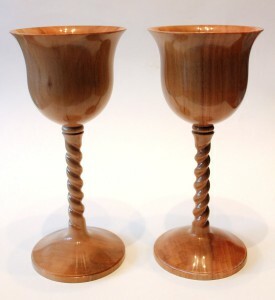 The twist stems are hand cut. Some of the goblets are intended to be purely decorative but functional goblets can be produced if required. 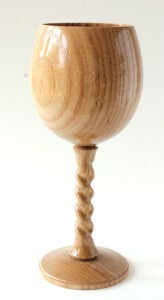 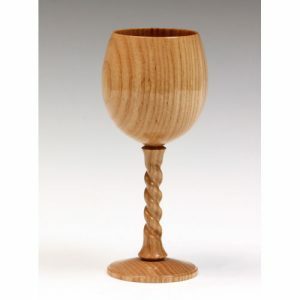 If you see something you like, check the woodturning shop page or enquire for prices and availability. 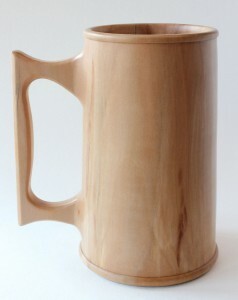 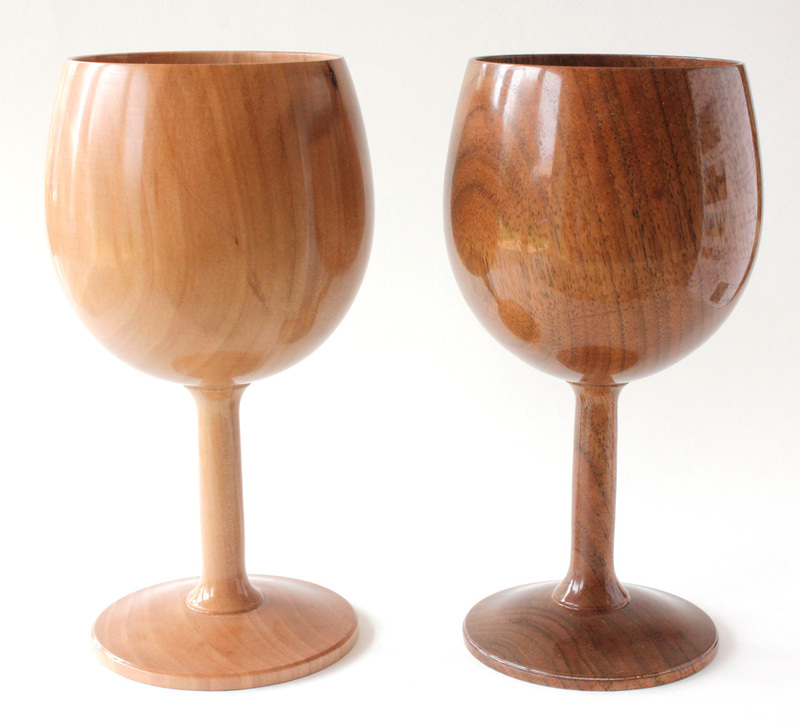 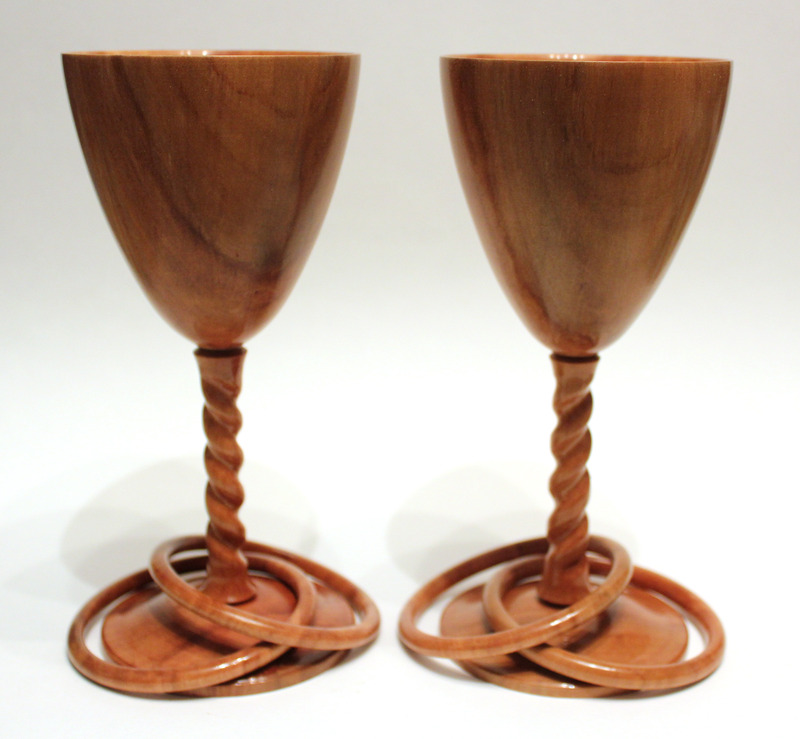 The turned wooden goblets can be made to hold liquid if required. For drinking vessels, an alcohol resistant finish is used so you can use the goblet for your favourite tipple. 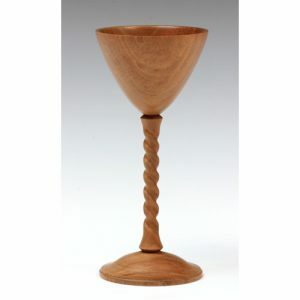 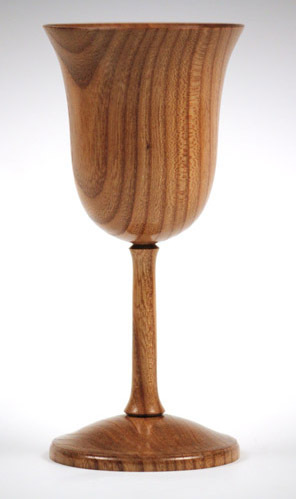 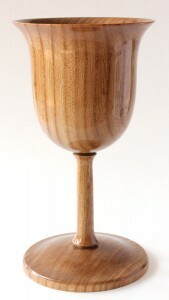 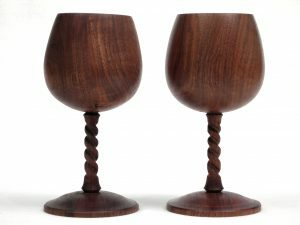 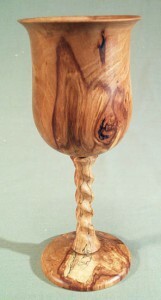 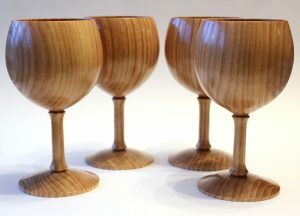 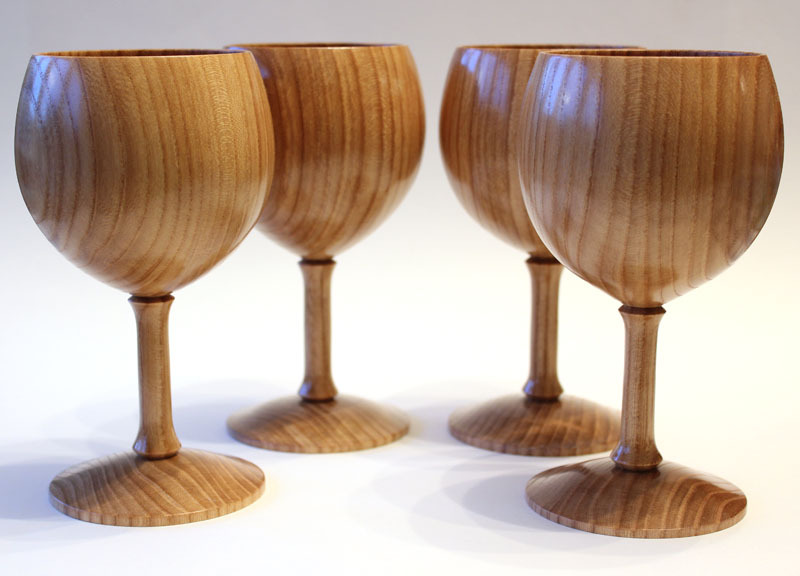 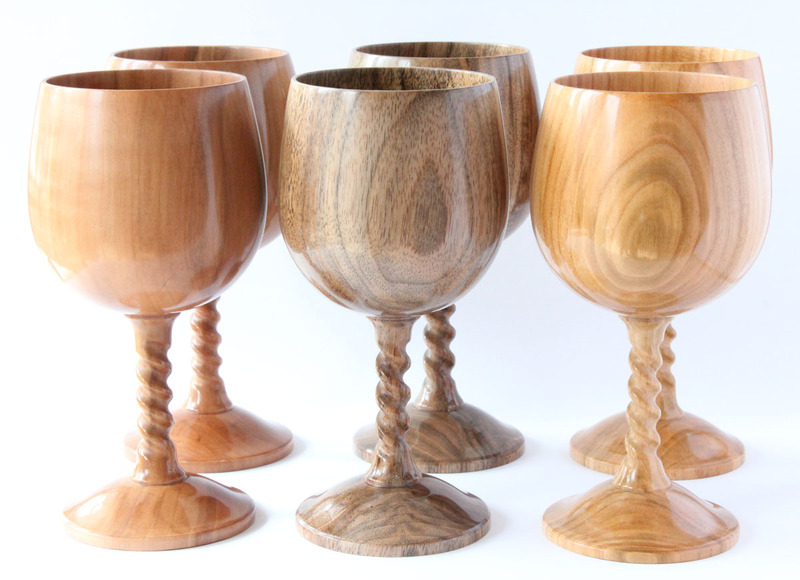 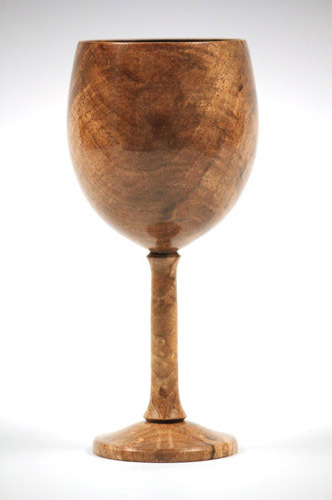 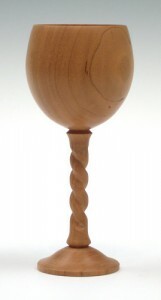 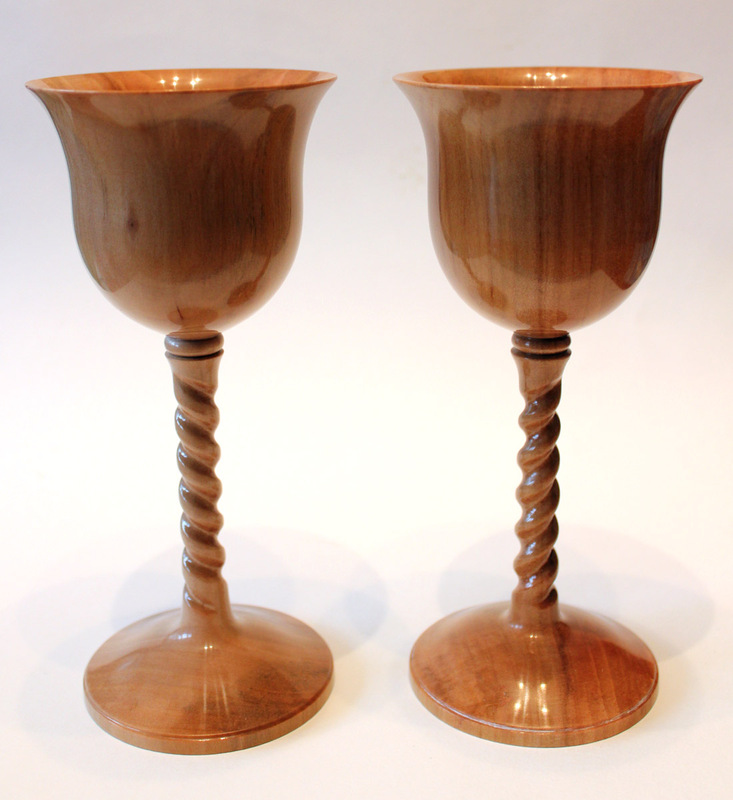 Goblets can be made to order from a wide variety of wood but even woodturning has its limitations!